JaM Cellars Napa is officially rocking downtown with our eclectic, comfortable space and music-driven wine vibe. A state-of-the-art sound system and classic vinyl collection make it easy to chill out with friends over a glass, flight, or bottle of easy-to-love wines Butter Chardonnay, JaM Cabernet and Toast Sparkling. Settle in at our bar counter, leather couches, or booths alongside vintage Rolling Stone magazine art and musical furnishings. Let our team of JaMbassadors pour you the full lineup of luscious JaM bottlings, or the special selection of music-themed wines by JW Thomas and other friends. With weekly live-music JaMSessions, movie and music tribute nights, Sunday bottomless Toast-mosas, and a complimentary "toast with Toast" at 4pm—everyday is a good day to JaM with us! John and Michele have created a fun, lively, wine space right in downtown Napa. Taste Napa-appellated Butter Chardonnay and JaM Cabernet Sauvignon, alongside guest wines and special releases. Enjoy easy-to-love wines, while listening to our classic pop and rock vinyl collection and live music on Fridays (check site and Facebook for listings). Music in Tasting Room: Classic pop and rock vinyl selection, plus live-music Fridays. 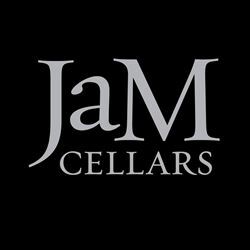 Check site and Facebook for listings #JaMCellars. Food Available: A selection from Tarla's Mediterranean cuisine menu available at JaM Cellars. To join the wine club, visit www.JaMCellars.com or call 707-265-7577. Automatic shipments of Butter, JaM or Toast? Yes please! Just as your stockpiled bottles start to run dangerously low, more wine will arrive at your house, like magic! All you have to do is let us know whether you like getting wine deliveries monthly or quarterly, and if you want six or twelve bottles at a time. As an added bonus, monthly deliveries of six or twelve bottles is inclusive of shipping charges. Plus members receive an annual "Anniversary Shipment" according to your JaMClub membership level (see jamcellars.com/Wine-Club). Go on...you know you want to! Napa Neighbors-come JaM with us! Sink into your favorite booth, or belly up to the tasting bar and enjoy a 2-for-1 JaM Cellars California Tasting (with local ID). Check out listings for our daily events at JaMCellars.com/Visit. Golden Gate Wine Cellars, Inc.